Here's the letter from the Food and Drug Administration to General Mills, telling the company that it is marketing its Cheerios cereal as a drug. 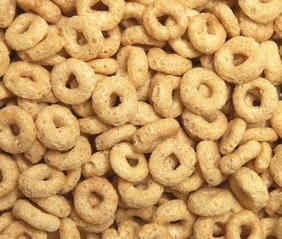 The FDA's problem, it seems, is that General Mills is claiming that Cheerios reduce cholesterol too much. Meanwhile, those damned Enzyte commercials with "Smilin' Bob" continue to broadcast claims of "male enhancement". I wonder if this means there'll be a run on Cheerios at the grocery stores now. People do not like being told by their government that something is "bad" for them like this, when they have been enjoying it for so long.